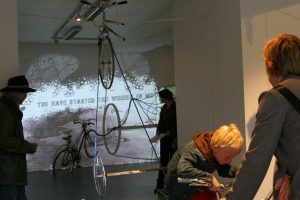 A bicycle-driven megamedia contraption for returning to childhood and reversing civilization, in Trondheim, Norway. 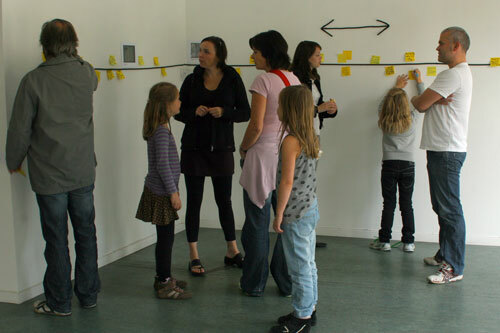 Exhibitions: Babel Art Space in Norway in 2007; re.sonance.007 festival, and for Prototipi Manzoni in Milan in 2008. The Childhood Machine, which premiered at Babel Art Space in collaboration with imaginary scientists and the city of Trondheim, is an interactive kinetic installation that incorporates newer-than-new age idea therapy to transport viewer to their past – a return to childhood. 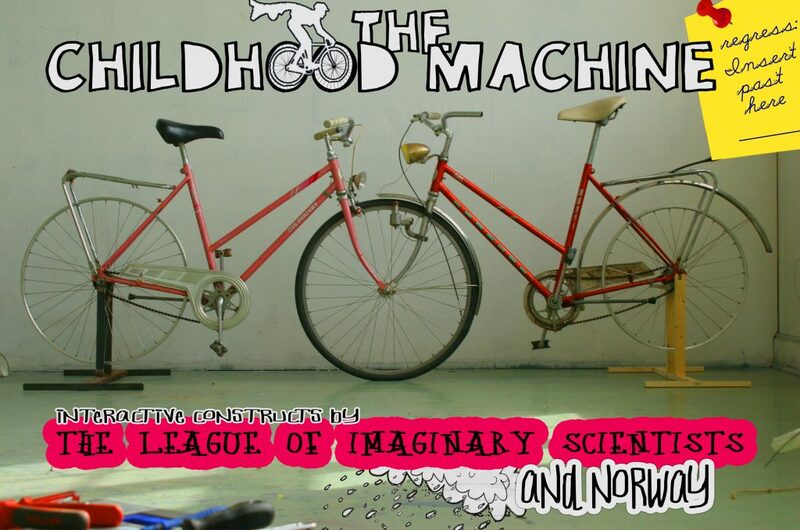 The League’s engineering division developed The Childhood Machine in the hopes of reversing the psychological and ecological damage wrought by Western Civilization. 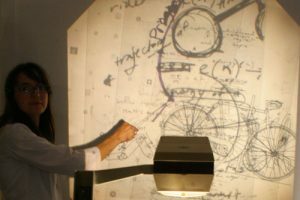 The machine is designed to reverse Progress in a complicated process of regression that requires precise mental and atmospheric conditions (78% childlike curiosity and 22% humidity). Visitors to the exhibit, as children, will inevitably grow up again: time, it is revealed, is a bi-cycle. 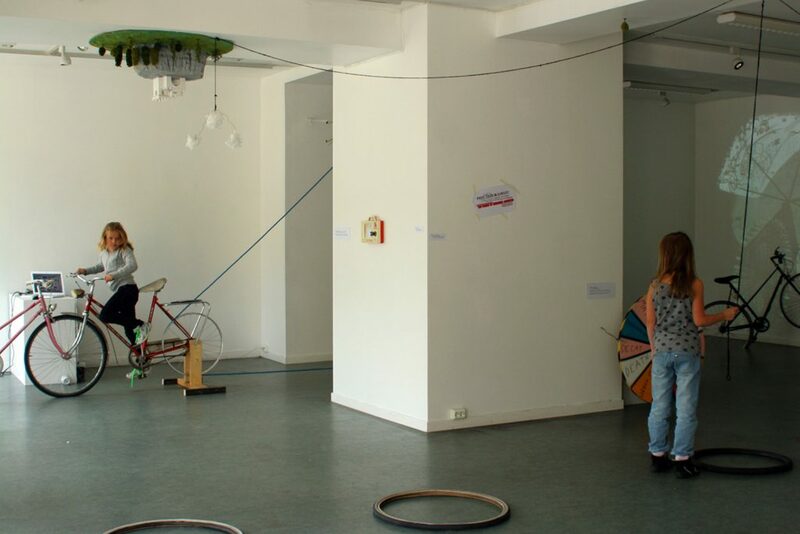 The exhibition includes the interactive childhood machine, a participatory fill-in-the-timeline of the collective childhood of the city of Trondheim, a documentary on the development of The Childhood Machine, artifacts from childhood, and an acoustic flight of fancy. The machine itself works in coordination with mental exercises developed by League thought therapist, Ms. MU. Collaborators for The Childhood Machine include League mainstays (Doctors Gomez, Johansen, Madmann, and Schleidan) from Los Angeles and Norwegian artists Anne Helga Henning (Ms. MU) and Pål Bøyesen (the imaginary boy), both from Trondheim, with sound development by imaginationandmymother in London. 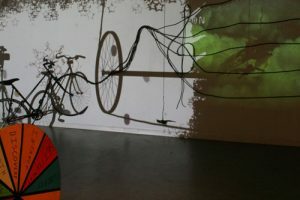 This exhibition was made with the support of the Royal Norwegian General Consulate, the community of artists at Lademoen Kunstnerverksteder, Trondheim Electronic Arts Centre (TEKS), Clas Ohlson, and the city of Trondheim, whose discarded bicycles proved constructive.